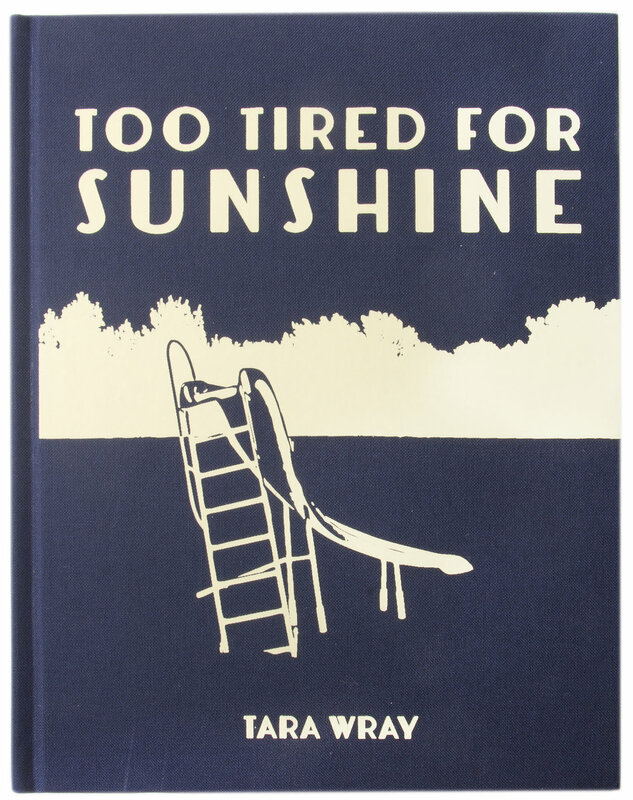 In her new monograph ‘Too Tired for Sunshine’ Tara Wray documents delicate moments in her everyday life, family and surroundings in sometimes whimsical and humorous images and sometimes painful and intimate pictures. Tara has a way of capturing little moments that might be disregarded or overlooked by others, in such a way that makes you feel connected to the situation, the person or that moment. In many of the images, for me at least, there is always this sense of ambiguous feeling of loneliness yet intimacy at the same time that creates an interesting tension between me as the viewer and the photograph. This loneliness and silence accrues in many of the still life shots where you feel as if you are standing in front of this place, not sure if it is your loneliness or your projection of your personal loneliness on the photograph. This silence is broken by sudden images of more whimsical images that create almost a relief moment within the story, images such as a pizza mask or a lady with hair curlers in the back of the car. Moments that are juxtaposed to a bloody eye or a severed deer. I think what is special in Tara’s photography is her delicate way of creating poetic moments that are relatable and very accessible to her viewers, photos such as a simple donut in a cake dish, yet a small piece of it is coming out and being crushed by the glass cover. A simple gesture that within the context of this visual world has a powerful meaning – where each viewer can relate to in his/hers own way. This book would be a great addition to any photo lover’s library – viewing this book and project can inspire you to go out there and see the world and the little moments within it in a whole new way. I hope you could consider getting a copy of the book for yourself by vising Yoffy Press’s website here.